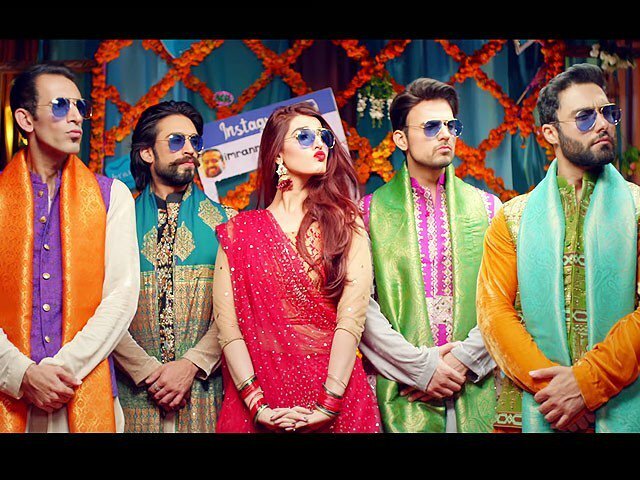 KARACHI : There is no denying that 2017 was a disappointing year for the Pakistani film industry with no box office successes other than Punjab Nahi Jaungi and Na Maloom Afraad 2. 2018’s first release Parchi opened to a fairly large audience (for a non-Eid release), especially in Islamabad and Rawalpindi, and it remains to be seen how it fares in the next few days. Although it’s too early to tell what fate local cinema would have in 2018, with major films slated for release this year, exhibitors seem hopeful. Atrium Cinemas’ managing director Nadeem Mandviwalla told The Express Tribune, “I hope this year is going to be better than 2017. There are a few major films coming out this year.” He cited films such as Parwaaz Hay Junoon, Saat Din Mohabbat In, Ali Zafar’s Teefa in Trouble, Jawani Phir Nahi Aani 2 and Load Wedding as having potential to bring in big money for the cinemas. Exhibitors are not putting all eggs in one basket this year. Along with several major films, which can safely be assumed to be almost sure fire successes, there will be several debut films such as Pari and Cake. As to where we stand as an industry and where 2018 may take us, exhibitors believe film-makers must learn from their mistakes, but that it’s also too early to expect them to become perfect at everything. “So far, we are still struggling for successful films which actually turn in profit so economic sustenance is the priority right now. After that, we can think about diversifying in terms of genres and other concerns,” said Mandviwalla. “Our film-makers are new so of course, it’s not going to happen in their first projects. But they need to learn how to budget a movie and not overspend. The key is intelligent film-making where even low budget films make money.” he added. According to him, only Nabeel Qureshi and Nadeem Beyg have proven themselves as viable film-makers so far, while he thinks Wajahat Rauf and Yasir Nawaz are gradually building their repo and proving themselves. Super Cinemas’ general manager Khorem Gultasab thought 2017 largely proved to be a year of experimentation by the film-makers. “Only a few credible groups succeeded but most failed at the box office for one reason or the other. This frustrates the exhibitors who have fixed capital investments and appreciate supply of decent local content to keep cinemas alive,” he said. Gultasab added that we cannot depend on Bollywood anymore as it might get choked just like cricket and that we should have better-quality films throughout the year, instead of just during Eid. He also stated that exhibitors must question film-makers and production houses as to why they have been incapable to serve decent content. However, Gultasab believed that both veterans and newcomers displayed inadequate proficiency in film-making and that film-makers need to stop treating cinemas as laboratories to test their products.